Earlier this year, the Federal Communications Commission adopted new rules to ensure the Internet remains an open platform for consumers and innovators. The new rules (adopted as part of the Open Internet Order) are a capstone to over a decade of policy battles and litigation over how the FCC regulates broadband Internet service. For close observers of the net neutrality saga, this Friday brings a sense of déjà vu, as the agency again heads to Court to defend net neutrality rules at oral argument. The FCC’s relevance in the broadband era, along with how consumers, content creators, entrepreneurs, and network providers interact with each other, hangs in the balance. How did the FCC find itself back at the D.C. Circuit? It has been a long and winding road, but here are the highlights. Until 2002, the FCC regulated DSL as a Title II “telecommunications service,” (under Title II of the Communications Act) just like the telephone network - transmitting information, at the user’s direction, between two points. Then along came cable modem service. After a few years of the FCC fiddling around, the Commission in 2002 changed course and declared that cable modem Internet service was a Title I (again, under the Communications Act) “information service.” The FCC also started the ball rolling to get DSL declared as Title I. Why? Because Title II telecom providers have a bunch of mandatory obligations and rules to protect consumers. Information service providers, defined under Title I of the Communications Act, don’t have any specific obligations. At the time, however, the FCC (and everyone else) assumed the FCC could regulate information services under this thing called “ancillary authority.” So the newly minted Republican FCC saw redefining broadband as Title I information services as a means of deregulating broadband, but still having authority to keep an eye on things as needed. In 2005, the FCC’s decision to reclassify broadband as a Title I information service was heard and upheld by the Supreme Court. The Court found that the Communications Act was ambiguous about keywords in the definition, and this gave the FCC discretion in how to classify and regulate broadband services. Months later, the Commission harmonized its treatment of cable broadband and DSL service by reclassifying DSL as an information service. For the first time, no Internet access services were regulated under Title II. But the FCC didn’t take a completely hands off policy. The FCC simultaneously adopted the Internet Policy Statement, establishing principles intended to preserve and promote the open Internet. The compromise between the Republicans and Democrats (the Commission was deadlocked at 2-2 at the time) was designed to assert FCC jurisdiction and provide guidance to carriers on what the FCC would find unacceptable. Just to make things complete the FCC, on its own motion, issued a Declaratory Ruling in 2007 that mobile broadband was also a Title I information service and not a Title II Commercial Mobile Radio Service. In 2007, the Internet Policy Statement faced its first test when Comcast began throttling traffic from file sharing site BitTorrent and Public Knowledge and Free Press filed a complaint. Ultimately, the FCC found that Comcast’s actions violated the Internet Policy Statement and ordered Comcast to stop. In response, Comcast appealed, challenging the FCC’s authority to regulate ISP behavior. While the Comcast/BitTorrent appeal was pending, an election happened and Barack Obama became President. Obama had pledged to establish network neutrality regulations in 2007, well before it became cool. So in October 2009, after Obama’s choice for FCC Chairman Julius Genachowski was finally confirmed and installed, the FCC launched a formal rulemaking to adopt net neutrality rules to replace the Internet Policy Statement (still using Title I ancillary authority). Ultimately, the D.C. Circuit -- in an opinion by Judge Tatel -- ruled that the FCC overstepped its authority when it enforced its Internet Policy Statement against Comcast. The opinion also virtually eliminated the FCC’s “ancillary authority” in the process. Without ancillary authority to rely on, it looked like the FCC faced a choice: either reclassify broadband as a Title II telecom service, find some new source of authority for net neutrality as an information service, or give up on net neutrality entirely. In June of 2010, the FCC released a Notice of Inquiry on whether to reclassify wireline and mobile broadband as a Title II telecom service, combined with lots of forbearance. Genachowski characterized this as a “third way” between maintaining broadband as a Title I service (which seemed rather dicey given the D.C. Circuit decision in Comcast v. FCC), and full on Title II regulation (which no one really wanted anyway). As a result, this NOI gets called the “Third Way NOI.” The NOI put everyone on notice that the FCC might actually reclassify broadband access service as a Title II service. Needless to say, broadband providers did not like this possibility much and pushed back insanely hard. After several months of intense lobbying and negotiation, the FCC issued a genuinely “third way” and adopted actual rules in December 2010. The FCC decided not to reclassify broadband as a Title II service. Importantly, however, the FCC refused to close the Third Way Reclassification NOI, leaving open the possibility that it might someday revisit its decision not to reclassify. Instead, the FCC found its authority in Section 706 of the Telecommunications Act of 1996 (codified at 47 U.S.C. 1302), which requires the FCC to encourage timely deployment of broadband services to all Americans and to remove “barriers to infrastructure development.” The FCC reasoned that an open, neutral Internet creates a “virtuous cycle” that drives investment by allowing edge providers to bring new services to consumers, driving increased demand for broadband, driving both broadband providers and edge-providers to invest in more infrastructure. This allowed the FCC to adopt rules against blocking or unreasonable discrimination, and transparency rules requiring broadband providers to provide clear notice about their network management practices -- all while keeping broadband classified as a Title I information service. For reasons not worth going into here, it took until September 2011 for the net neutrality rules to appear in the Federal register. Verizon promptly appealed the Order, and -- again for procedural reasons not worth discussing here -- the oral argument did not take place until September 2013, with the Court issuing its decision in January 2014. Whereas the Court’s 2010 Comcast decision was pretty much a straight up loss for the FCC, the 2014 decision (Verizon v. FCC) had a lot more favorable news for the FCC. You can see our old summary of the Court’s decision here. Briefly, in a second opinion by Judge Tatel, the D.C. Circuit rejected Verizon’s argument that Congress never intended the FCC to regulate Internet access service. The Court agreed with the FCC that Section 706 gave the FCC authority to regulate broadband providers so as to promote deployment of broadband and investment in infrastructure. The Court agreed with the FCC about the “virtuous cycle” and how allowing broadband providers to block or degrade content would therefore discourage adoption by users and discourage investment by edge providers. So if the Verizon Court agreed with the FCC’s reasoning, why did it strike down the no blocking and non-discrimination rules? Because the Court also agreed with Verizon that a separate provision of Communications Act prevents the FCC from regulating a non-common carrier as a common carrier. Title II telecommunications carriers are common carriers, meaning they must treat all traffic in the same way. Title I Information services are not common carriers. By prohibiting a broadband provider like Verizon from negotiating with an edge provider (like Google or Facebook) for prioritization, the FCC was forcing broadband providers to act as common carriers and setting the rate for carrying edge provider traffic back to the broadband subscriber. Additionally, the Verizon Court dropped some very broad hints in it opinion that if the FCC reclassified broadband as a Title II service, the common carrier prohibition would disappear and the FCC could adopt no blocking and non-discrimination rules. The opinion noted several times that the Commission had resisted calls to reclassify broadband as a Title II service, and that therefore the Commission must accept the limitations that flow from choosing to classify broadband as Title I. If the 2010 Court opinion in Comcast v. FCC was a total smackdown loss for the Commission, the 2014 Verizon opinion represented a much more mixed result. The FCC won a great deal, but the decision also made it clear it could not impose real net neutrality rules, i.e., rules preventing broadband providers from blocking traffic or offering paid prioritization (a.k.a. “fast lanes”) unless the FCC reclassified broadband as a Title II telecom service. Initially, Chairman Wheeler wanted to avoid going the reclassification route. Not only did it look like political suicide with no chance of becoming law, but Wheeler also thought he could provide enough protection under Section 706 authority. Because the Verizon opinion required allowing broadband providers to negotiate with edge providers the proposed rules would have actually sanctioned paid prioritization “fast lanes” rather than prohibiting them -- subject to some oversight and guidelines by the FCC. Perhaps unsurprisingly, this approach pleased no one. Opponents of network neutrality found even this level of oversight on broadband providers as intolerable and insisted -- despite the clear language in the Verizon decision -- that Section 706 does not give the FCC authority to impose any rules on broadband providers. Supporters of network neutrality protested that allowing paid prioritization under any circumstances was the exact opposite of net neutrality. If the only way to get a ban on blocking and discrimination was to reclassify broadband as Title II, then that’s what the FCC needed to do. Wheeler still favored his own middle ground, but agreed to put “all options on the table” -- including reclassification. The FCC adopted a Notice of Proposed Rulemaking in May 2014, which not only included Wheeler’s preferred Section 706-based approach, but also expressly pointed to the 2010 Third Way NOI, which the FCC had refused to close for 5 years just in case they needed it. The Notice of Proposed Rulemaking explicitly asked whether the FCC should reclassify broadband as Title II and adopt an actual ban on blocking and paid prioritization as a common carrier obligation. As we now get to the part that folks reading this probably remember, we can speed this up some. Even before the FCC released the May 2014 NPRM, huge pushback on the FCC to reclassify began. Public interest groups submitted petitions garnering over a million signatures calling for the FCC to save real net neutrality -- the kind with no fast lanes. The public outcry ramped up even further after Netflix caved to Comcast’s demand to pay for direct interconnection with Comcast’s network to avoid congestion. As the millions of comments and letters poured in, and as the activism and protest refused to die away, Chairman Wheeler did something rare in Washington. He actually started to rethink and reevaluate his initial position. This did not happen overnight. Getting to full reclassification took a long time, cycling through every other alternative first. Ultimately, even President Obama voiced his support for Title II reclassification. Shortly after, Wheeler finally embraced reclassifying broadband as Title II. In February 2015, the FCC released its Second Report and Order reclassifying both wireline and mobile broadband as a Title II services. 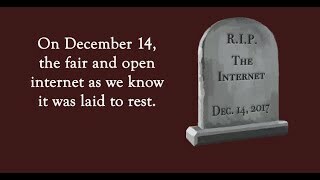 The February 2015 Order established a no blocking rule, a no paid prioritization rule, and a “general conduct” rule to cover anything that subverts net neutrality that didn’t get officially listed. The Order also exempted broadband providers from the vast majority of statutes and regulations imposed on regular telecom services through forbearance. 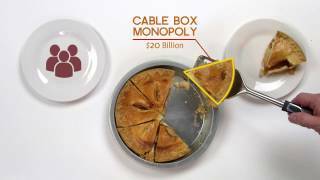 The Order declined to directly regulate interconnection deals such as Comcast/Netflix, but warned broadband providers that, as common carriers, they needed to provide “just and reasonable” rates and that the FCC -- while not setting any specific rules or rates -- would take complaints if parties claimed that broadband provider were trying to extort monopoly payments or impose unfair/anti-competitive terms. Back to Court Again. Third Time’s the Charm? As expected, a collection of broadband providers and their trade associations filed in Court to block the FCC. Additionally, a company called Full Service Networks challenged the FCC decision to forbear from applying most of the Title II rules to the broadband providers. All these appeals were consolidated in the D.C. Circuit. The broadband providers filed a request to stay the FCC’s rules from going into effect as scheduled on June 12th. Public Knowledge joined with a number of other intervenors to support the FCC in opposing the request. On June 11th, one day before the reclassification went into effect, the D.C. Circuit denied the request for stay. The denial of the stay gave the FCC its first unambiguous win in the D.C. Circuit on network neutrality. As one of the requirements to win a stay is showing “a likelihood of success on the merits,” the denial of the stay makes it clear that those challenging the rule do not have the slam dunk case they would like everyone to believe they have. On the other hand, the standard for granting a stay is supposed to be fairly high, so it is not a sign that the FCC has a slam dunk argument either. All of which brings us to oral argument this coming Friday. For an analysis of the what’s likely to happen then, check out our next blog post, from Kate Forscey.